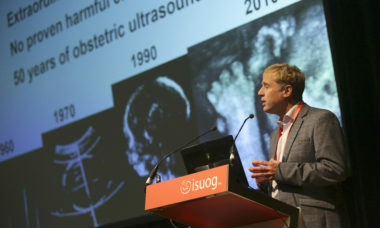 ISUOG is the leading international society of professionals in ultrasound for obstetrics and gynecology. 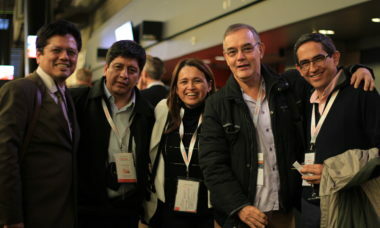 Beginning in 1991 with the first issue UOG Journal and the first World Congress, ISUOG has now grown to over 15,700 members in 140 countries. Join our growing global community and gain access to a broad range of educational resources for all training and professional levels. ISUOG’s long term vision is that every woman in the world has access to ultrasound, that every scan provider is competent and that the diagnosis of obstetric and gynecologic conditions is effective so that women’s health outcomes improve. Our mission is to improve women’s health through the provision, advancement and dissemination of the highest quality education, standards and research information around ultrasound in obstetrics and gynecology. In our work, research and teaching we will demonstrate excellence, integrity, respect, inclusiveness and passion. “I would like my mantra for the time of my presidency to be engagement, openness and inclusiveness. I would like to be reachable to you. I invite you to get in touch with me, to exchange opinions..."
ISUOG provides education for practitioners and trainees at all levels to enhance their skills and knowledge in ultrasound in obstetrics and gynecology with the ultimate aim of improving health outcomes for women across the world. Lectures and courses are accessible onsite, online, via live-streaming and On Demand. With a growing membership of over 15,500 from 140 countries, ISUOG is the largest global network of its kind with members at all levels of professional training. Choose the membership level that is right for you and upgrade to include an online or print subscription to the UOG Journal at any time. Subscribe to the ISUOG newsletter for free to receive the latest educational resources, research and news from the field. ISUOG is committed to ensuring a safe and respectful environment, free from harassment, in which its members may engage in academic exchange or educational activity. We promote diversity and equality as the basis for positive working relationships and expect our members, employees, volunteers and all those who come into contact with the organisation to be treated, and to treat others, fairly, with dignity and with respect. These principles and expected behaviours are consistent with ISUOG’s values of Excellence, Integrity, Respect, Inclusiveness and Passion. Thank you for applying them in your interactions with our Society. Not a member yet? Join ISUOG today!